Good News !!! !Cyclone are back !!! The first Italian 80’s Psychobilly band !! They are back with the courage and the strength they had on the early years !!! Their musical career spanned between 1987 and 1994 “the Psychobilly golden decade”!!! 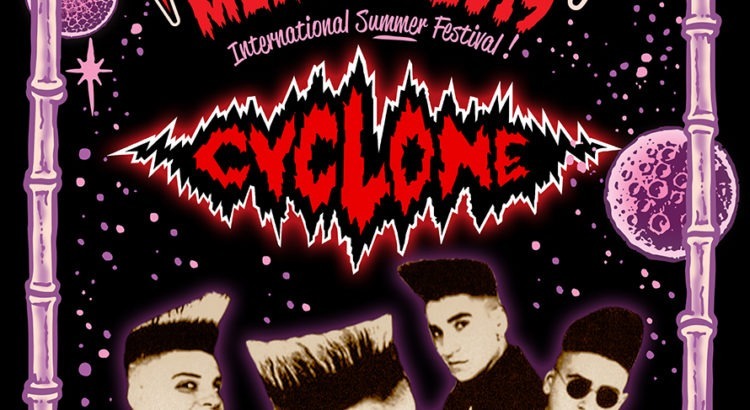 2019 they celebrated their 30th Anniversary of their first release “ The first of the Cyclone men “ for the Klang Records from Rome, which was one of the 7 top sellers that year. so now they decided to do a new and special re-release! 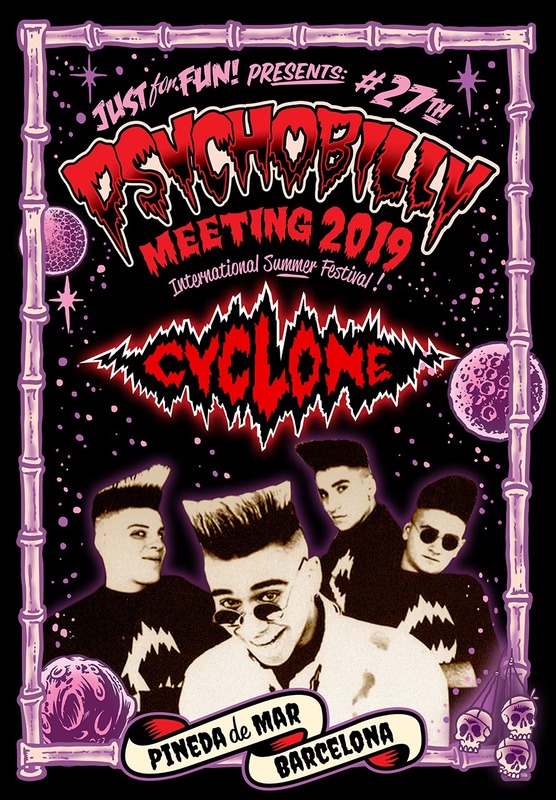 They started gigging in April of 87, sharing stage with The Meteors in Rome, playing at the first Italian psychobilly festival in Umbetide, with another great bands as Frenzy, Torment, or Guana Batz. Soon after they left Italy to perform on stages in Paris, Amsterdam, Austria, German. They were particularly successful at the 2nd Big Rumble in Hemsby, (uk, 1990), they were recorded live and published in the festival compilation. By popular demand they have been asked to come back after all these years ! Cyclone will back on the main Pineda stage this year !!!! They are fitter and stronger than ever to make their comeback !!!!!! Pineda 2019 give The CYCLONE !! !